18 7/8" overall. 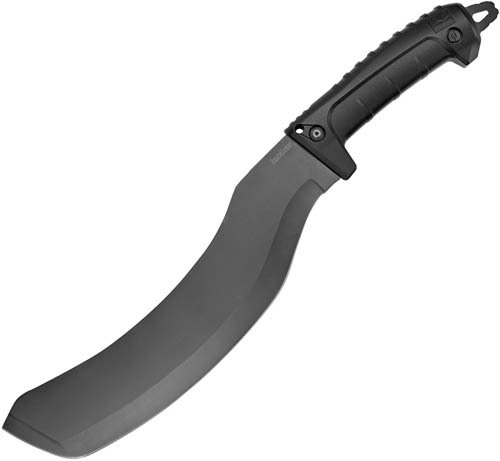 12" black-oxide finish 65MN steel Malaysian parang design blade. Full tang. Black glass-filled nylon handles with guard and lanyard loop. Black plastic blade guard. Hang packaged.